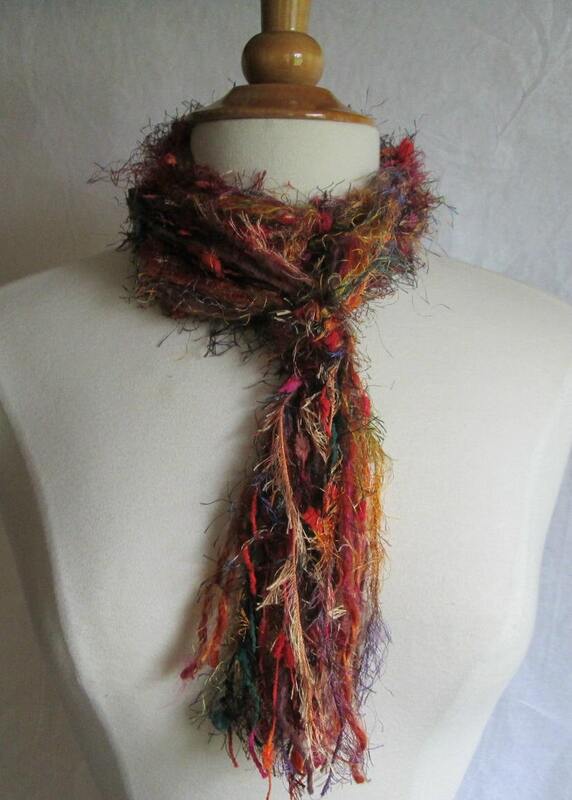 This Knotty scarf features a blend of yarns in brilliant shades of autumn foliage. Red, orange, yellow, green, and brown in deep saturated tones make this a very bold look. A great look paired with a your favorite pair of jeans and fitted t-shirt. About 88" long. Mixed yarns - possibly including poly, nylon, acrylic and wool.